Alicante Airport Parking at Claus Parking. Cheap Parking Guaranteed. Open over 21 years. Great Service. Price Match Guarantee*. A contract includes an unlimited number of transfers to and from the airport during that period. Daily Rate prices include one free shuttle service to and from the airport. Please allow 15 minutes for parking, vehicle check-in and transfer prior to flight check-in time. To see us on Google maps Click Here. You can also get driving directions directly to the carpark. Go out of the airport down the slip road heading for Valencia/Murcia AP7. Take the first right (400m) turning signposted Alicante N340. Go down the slip road. Take the first turning on the roundabout. Go along the road (approx 300m) take your first right turn. Continue on this road (with Parking Ascars on your right) go over the bridge. Take your next right and Claus parking is there in your left hand side. Exit the N332 onto the N338 heading towards the airport. Go passed the airport. Take the first right (400m) turning afer the airport signposted Alicante N340. Go down the slip road. Take the first turning on the roundabout. Go along the road (approx 300m) take your first right turn. Continue on this road (with Parking Ascars on your right) go over the bridge. Take your next right and Claus parking is there in your left hand side. Exit the A-7 following the signs to the airport, take the next right signed N340 Torrellano/Murcia. Follow the slip road to the roundabout. Go all the way round the roundabout, so you are heading back on yourself (signed N340 Alicante). Go straight over the roundabout and under the bridge then go staight over the next roundabout. Go along the road (approx 300m) take your first right turn. Continue on this road (with Parking Ascars on your right) go over the bridge. Take your next right and Claus parking is there in your left hand side. Check out our brand new car park straight across the road from the airport. Our outdoor car park is 24,000 m2 and is manned 24 hours a day. It has 24/7 video surveillance and is secure and fully insured. Claus Parking is open 24 hours and offers cheap, reliable and safe parking and includes a free airport service to and from Alicante airport terminals. We are located only 5 minutes from the airport. We have been established over 21 years and have much lower rates than on-site Alicante airport parking. We offer a price match guarantee up to 6 months parking. 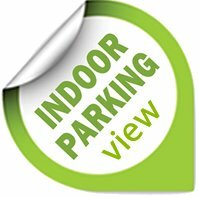 We also have 2 fully enclosed indoor carpark. Both are alarmed and insured.